1. Call South Florida Wildlife Center at (954) 524-4302 ext. 10 (or follow voice prompts). Open 365 days a year, 8:00 am - 6:00 pm. There are night cages where wildlife can be dropped off from 6:00 pm - 8:00 am (cages are not checked from 7:00 pm - 7:00 am). 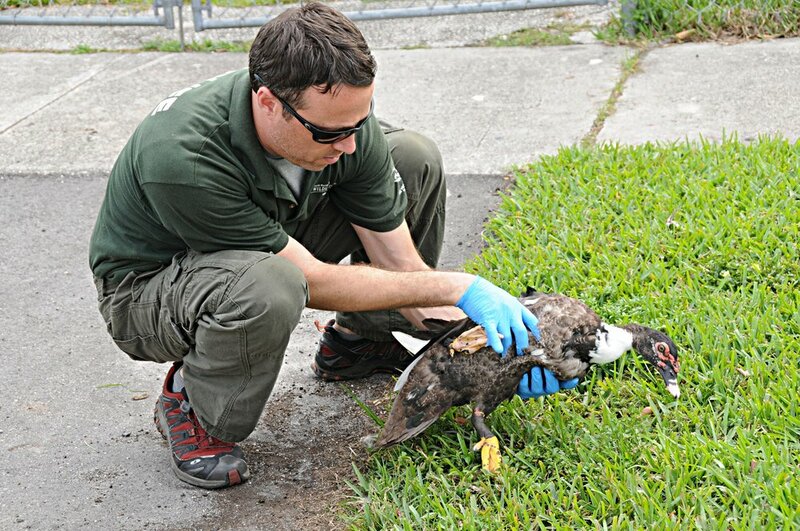 Note: SFWC accepts non-native wildlife who are sick, injured, or orphaned. SFWC does not accept non-native (exotic) pets who are found or surrendered. 2. 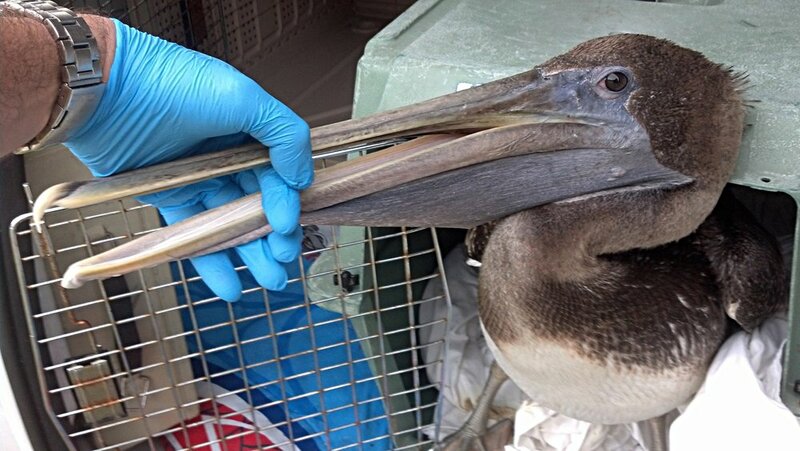 Call Pelican Harbor Seabird Station at (305) 751-9840. Open 365 days a year, 9:00 am - 5:00 pm. There are night cages where wildlife can be dropped off from 5:00 pm - 9:00 am (cages are not checked from 5:00 pm - 9:00 am). PHSS does not accept non-native wildlife. 3. 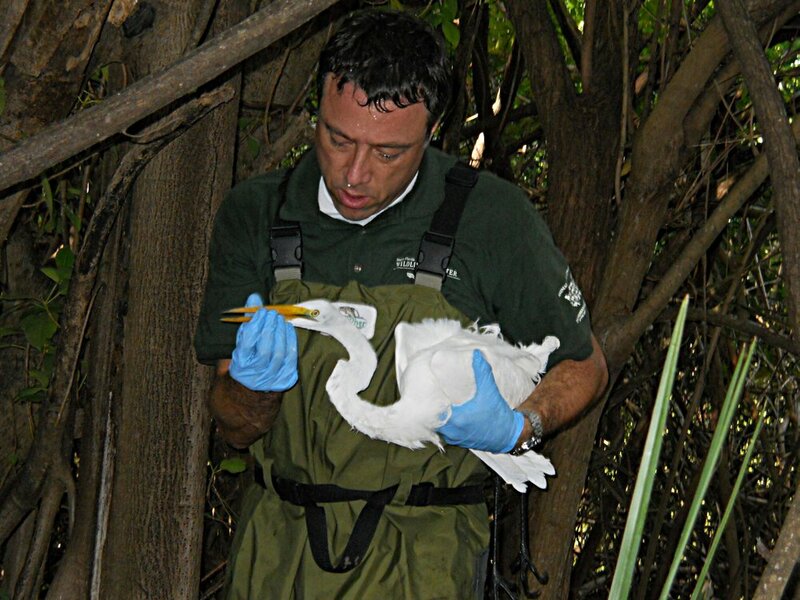 Text/call Robert Ruderman of Humane Wildlife Consulting of South Florida at (954) 800-3948. Always text first. Hours: every day, 24 hours, when available. 4. Text/call Liz Jones of Ethically Elizabeth at (484) 941-3544. Always text first. Hours: every day, 24 hours, when available. 5. Go online to Animal Help Now by clicking here. First enter your address, then click on "Wildlife Emergency." You can also download the Animal Help Now app for iPhone here and Android here. 1. Go online to Animal Help Now by clicking here. First enter your address, then click on "Wildlife Emergency." 2. Go online to FWC (Florida Fish and Wildlife Conservation Commission) by clicking here. Locate your city. 2. Go online to The Humane Society of the United States by clicking here. Locate your state, then find rehabber.